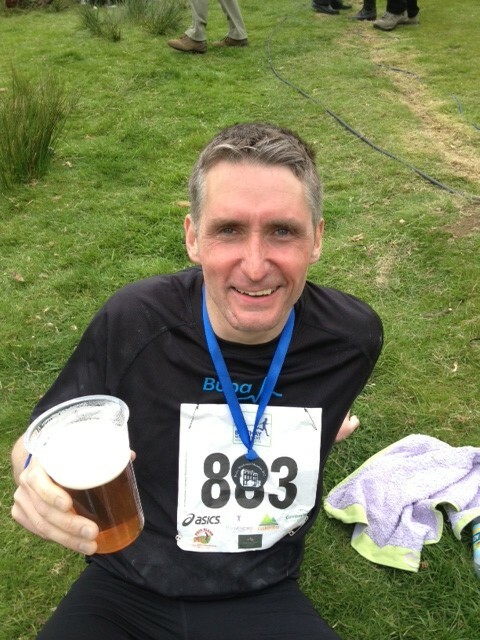 We’re pleased to announce that on Sunday 20th May 2012 Adam Dutton – a Director at the Shepherd Partnership – completed the 26.2-mile Windermere Marathon, raising over £900.00 for the Alzheimer’s Society. A number of friends, family, and Shepherd Partnership clients have very kindly supported Adam with this challenge, and he like to take this opportunity to thank everyone for their well wishes and sponsorship. In total 773 people took part in the Windermere marathon this year; the winner completed the course in 2 hours 45 minutes and last person came in after 7 hours 5 minutes. Adam’s finishing time was 3 hours 35 minutes and he came in 94th overall and 20th in his age category (No wonder he could hardly walk!). Adam wanted to take part in this event to support such a fantastic cause. His gran will be 95 this year and has lived with Alzheimer’s for a number of years, so this is a charity that really does matter to him. Unfortunately it’s a fact that many more of us will experience Alzheimer’s too at some point in our lives. In fact, there are currently 800,000 people with dementia in the UK with numbers set to rise to one million by 2021. Adam is delighted to be able to handover more than £900.00 to the Alzheimers Society, an amount that will undoubtably make a difference. It’s really made all the effort and pain well worthwhile for him. You can view Adam’s online sponsorship page and all the encouraging comments he received at http://www.justgiving.com/A-Dutton.